In House Financing Now Available! Call 636-272-7070 to apply. 4' Dovetail ramp trailer is designed for car guys. 7.5" fender height and gradual load angle. Loading lights & winch mount receiver standard. The fastest and easiest way to load your car, this gravity tilt makes loading a breeze. Loading lights & winch mount receiver standard. 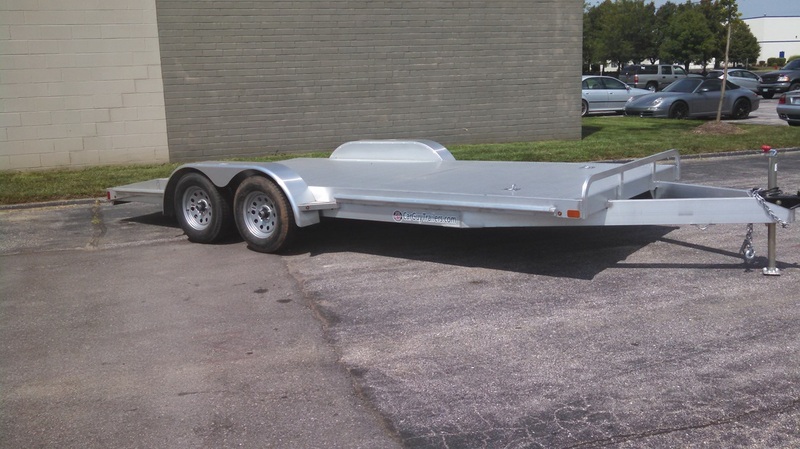 Super light trailer at 1,350 lbs it's perfect for pulling behind lighter duty SUV's and helps save fuel. Side rail allows extra tie-down points and allows easy side-loading. © COPYRIGHT 2017 CarGuyTrailers.com ALL RIGHTS RESERVED.